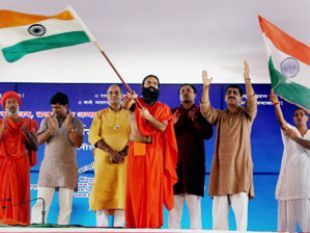 Baba Ramdev has given ultimatum to UPA government to agree to his three demands. He further warned the UPA government of revolution in case the government remains mum on the issues of corruption and black money. I support Anna Hazare and his team and Baba Ramdev as they are trying to bring focus on serious issues like black money, corruption and Lokpal Bill. However, I have a personal opinion to share with these people and their supporters. Team Anna has put allegations on 15 UPA ministers in different issues. They have also handed over the dossier to UPA government regarding these ministers. But, UPA has not taken any action. Why doesn’t Team Anna file a Public Interest Litigation if they are having solid proof of involvement of UPA Ministers in illegal activities or corruption in their own departments. The court activity will make UPA government to take action against the ministers. We have seen in the past that Subramanian Swamy had filed a case on his own in Supreme Court of India. The honorable court asked CBI to produce detailed report. We have seen that action was taken on the 2G issue and ministers were sacked. Why doesn’t Team Anna or Baba Ramdev proceed to court to seek justice on these serious issues. If they are having proof against UPA ministers, they should file PIL in court and let the justice prevail. Making statements at Jantar Mantar in front of large public gatherings are good, but if we want to see something happening, we need to proceed in an intelligent manner.